Losing weight and getting fit usually snags top spots in many people’s New Year’s resolutions, but following up on these goals isn’t as easy as writing them down. But whether you’ve decided to work on your dream body this year, or the last five years, there’s no time like the present to finally get started. Without further ado, here are the five best exercises you can do in the gym (and some you can even do at home!) to lose weight and keep it off. All successful goals start with a plan, so before you train your body, you have to train your mind first. Get into the right mindset, and know exactly what you want to happen in this fitness journey. How much kilograms do you want to shed, and what weight do you want to maintain? Make the conscious decision to be healthy until it becomes second nature. Fix your sleep and rest patterns: get seven of eight hours of sleep every night, and try to sleep and wake up at the same times. Eat healthy and don’t skip meals: consume plenty of fruits, vegetables, whole grains, proteins, and minimize or completely ditch processed food. When your body learns to expect food at regular intervals, your metabolism, or ability to process food into energy, increases as the need to store calories lessens. Most importantly, train yourself to expect exercises periodically, and to include it as a part of your everyday routine. Discipline and commitment, not motivation, are the secret to success. 80% of the battle with exercise is the battle between you and your mind. The treadmill is your gym best friend. They’re easy to operate, can accommodate all fitness levels, and can really amp up the calories you burn. For faster results that really make a difference, Canadian personal trainer Colin Westerman advices: “Bear the load of your bodyweight.” Don’t hold on to the handles while walking or running, and keep at the pace of the belt without rest. To step up your game, the incline feature adds another level to the intensity of your workout even when you retain a slower speed. 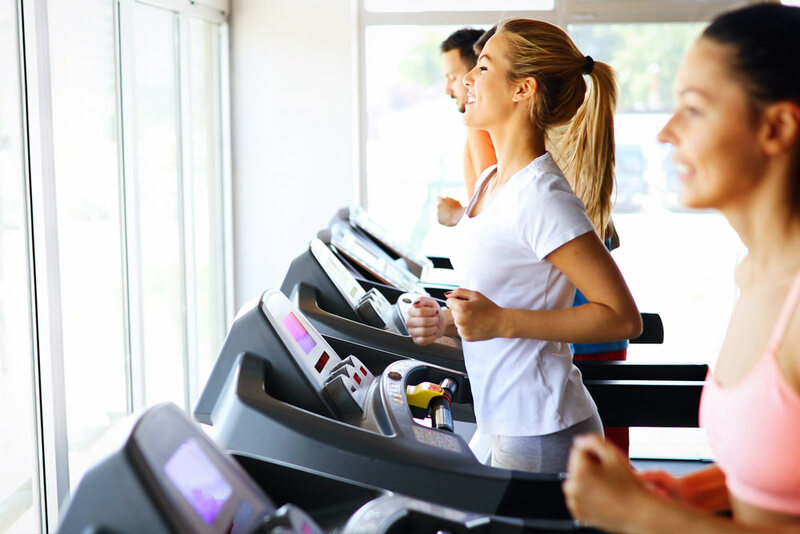 Treadmills are not only a great way to exercise off unwanted weight, but they also work out the whole body and can boost your overall well being. For best results, consider a full treadmill workout for 60 minutes at two half-hour intervals each. Be mindful to pace yourself at the very beginning with longer breaks between sessions, or more intervals at 10-20 minutes each. Cycling is a gentler alternative to running because you don’t bear your body weight, making it a better activity for your knees and joints in the long term. Although running generally burns more calories than its spinning counterpart, this exercise is still an excellent way to put and keep off the weight. If your gym offers group spin classes, definitely consider signing up, as well. The biggest advantage of cycling, whether on a mobile bicycle or a stationary equipment, is comfortability. The more at ease you are on the machine, the more work you’re able to put in. Listening to upbeat music lets you work along the beat, which can really help take your mind off the rigors of the exercise. Spin classes also creates a sense of unity with the other cyclists, so it’s easier for you to keep up with the rhythm. One hour on the bike should do you a world of good. Row, row, row your way to your dream body with this gym equipment designed to really workout your core muscles. 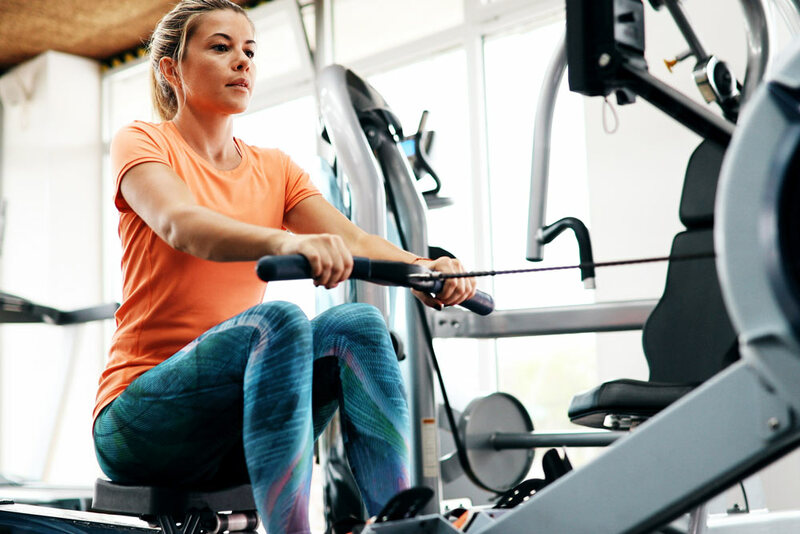 Because of the wide range of motion required in rowing properly, this machine spreads the workload throughout your body, exercising not only your upper back and arms, but also your core, down. Distributing the stress also lets you go at the activity at a higher intensity for a longer period of time. Row machines provide a full cardio workout, but first-timers may have a harder time with this equipment than the previous ones. Rowing isn’t as common as running or cycling, so be sure to ask your trainer or a professional instructor to help you get settled and prevent injuries and accidents. Losing weight doesn’t require expensive gym equipment, and squats are the perfect exercise to do even in the comfort of your own home, or at the sides of the gym when all the machines are taken up. Strength training increases metabolism because of the amount of energy required to work your muscles. The more you work on these, the faster your body processes stored nutrients. Squats work your lower body muscles, particularly your lower back, glutes, quads, hamstrings, and calves. To perform this exercise correctly, keep your body straight, feet shoulder-width apart, squeeze your core and lower hips as you bend your knees to a 90-degree-angle, aligned perfectly with your toes. Adding weights like barbells perched behind your neck also increases the efficiency of this work out. Exhale as you rise up, and perform several sets of eight repetitions. Like any strength training, squats are a long-term solution and should be maintained over time to get to your desired results—and stay there. 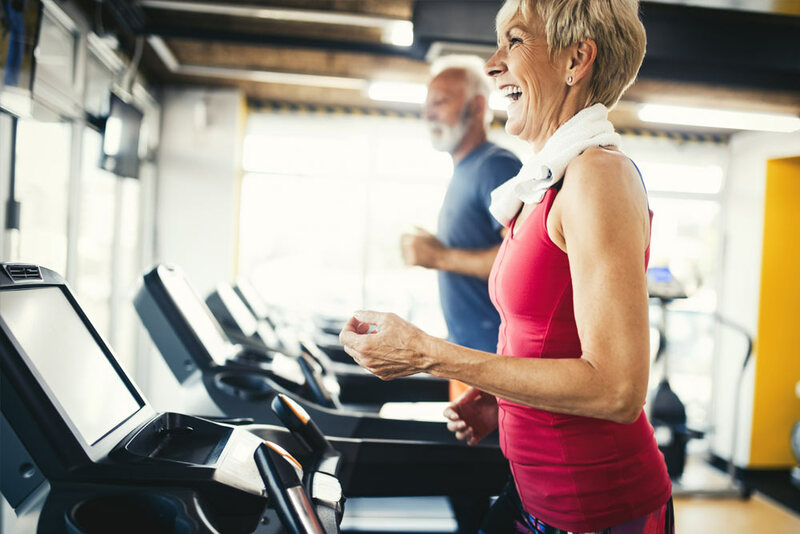 To strengthen your heart and boost your overall well being, the American Heart Association recommends 75 minutes of vigorous exercise a week, or 150 minutes of moderate work out. Aerobic exercises are easily doable no matter the location, and are a surefire way to help you with your weight goals. Because cardio workouts are high-powered exercises, you can do them for shorter periods of time. A 15-minute routine in the morning and another 15 minutes before going to bed every day should meet the AHA’s weekly recommendation, and it’s a setup that’s much easier to incorporate to your current routine. Common cardio exercises include jumping jacks, jump rope, burpees, mountain climbers, etc. Do each exercise for 10-30 seconds per set for beginners, or 30-60 seconds per set for more advanced levels. Getting your dream body takes a combination of different exercises, but it all starts with conditioning your mind before training your body. Get on a treadmill. Hop on the stationary bike. Learn the row machine. Do squats and strength training if no equipment is available. Don’t forget to include cardio into your work out. As mentioned above, discipline and commitment are the key to crushing your fitness goals. Thinking About A Gym Membership? Taking out a membership in a gym is also great option if you want to follow through a balanced program that includes strength training and cardio exercises. At Rec Xpress, we offer one of the best value gym memberships in the country at just $11 per week with no joining fee. This allows you to try out a class or two, and see how you like the vibe of our fitness club, without needing to pay in advance for a 1 year membership.